In this ever-changing world filled with millions of different strains of harmful germs and bacteria it is vitally important to stay current on disinfection technology. 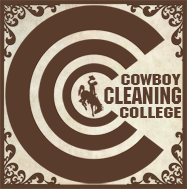 This is exactly why we have created our new Cleaning Education Program: Cowboy Cleaning College. We are dedicated to providing the latest information on cleaning techniques, products, procedures, and technology to you our customers because ensuring the safety of you and your loved ones is our number one priority here at Cowboy Supply House. The initial installment of CCC Live Events featured guest speaker Darrel Hicks, author of Infection Prevention for Dummies, and focused mainly on the need for anyone cleaning an indoor environment to understand disinfection, and the vital role it plays in greatly reducing microbial pathogens and thus preventing the transmission of disease and illness. 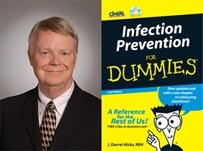 Darrel is the author of Wiley Publishing's Infection Prevention For Dummies, and is nationally recognized as one of the top experts in infection control. Darrel is also the immediate Past President of the IEHA and is an active member in ASHES where he holds the designation of CHESP. We are also very honored to have Darrel as the resident author of our very own CSH Cleaning Blog. CLICK HERE to read the CSH Cleaning Blog.